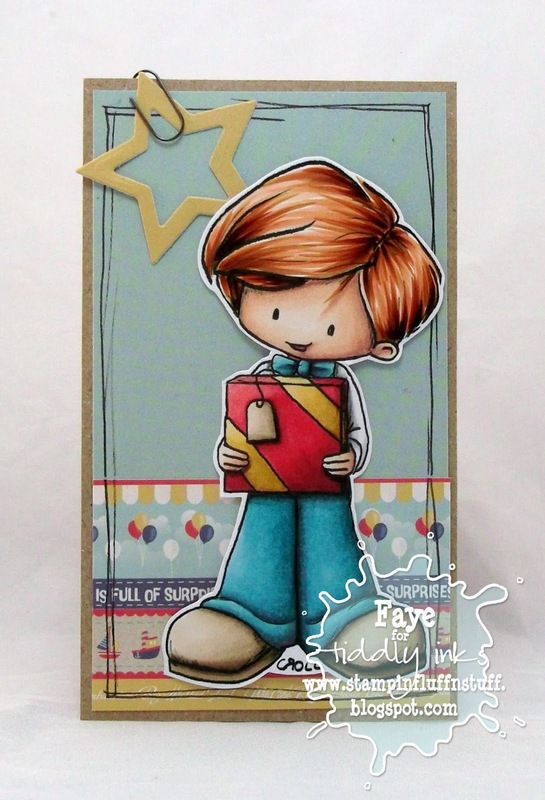 Don't forget you still have time to join our All About The Boys Challenge over at Tiddly Inks. Just sayin'! 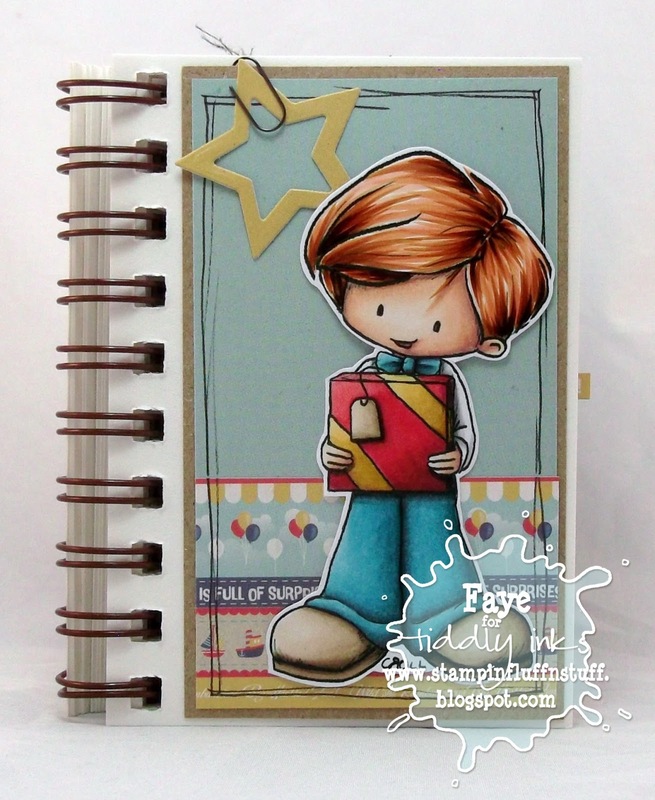 So super cute, Faye! I love the star and the paper clip too! I might get my copics out today and practice! Ha ha ha . . . I just had to mow my lawn for the FIRST TIME EVER . . . husband's job normally . . . but he's not allowed to do it at the moment! I really love the look of this. I know I've said it before, but your colouring-in is SUPERB. Thanks Faye! Thanks so much for visiting my blog and leaving such a nice comment. I am loving all the wonderful coloring you are doing - you are inspiring me to dig out the markers and pencils and get coloring! Sweet! Love his hair and jeans, great coloring! So adorable Faye. Love his hair. lovely colors ! great gift ! 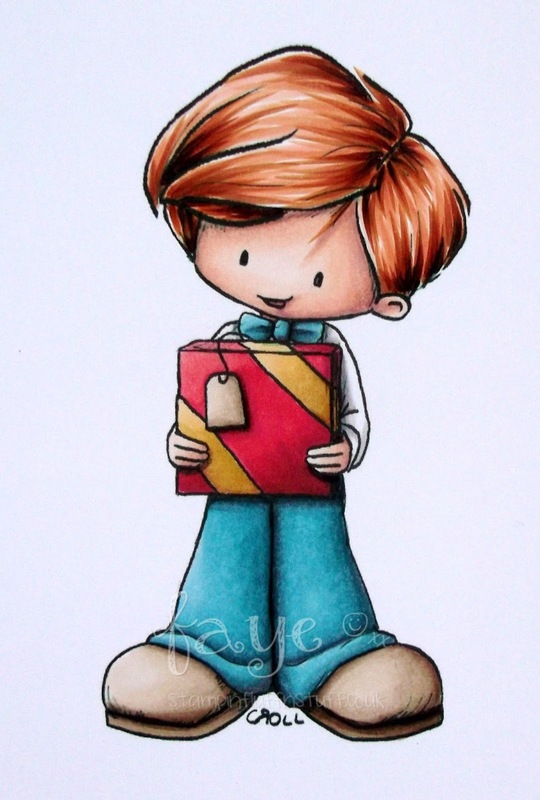 Faye, this is a a gorgeous card, I so love the image and he is beautifully coloured in...hair is fab! Wonderful coloring and such a cute card Faye!! I am always impressed by your work. Looking fabulous Faye. I found out that once you start in the garden now it will never stop!! Maybe do some more crafting first! He's one fabbie cool little man with your superb colouring as always! Chores vs. colouring...that's always a tough choice! So, is mowing the lawn a pink job in your household then? It's definitely a blue job in mine - yay! The hair and the skin is fantastic Faye, your colouring is super duper sweetie. Now would that be Sweet Cheeks bearing gifts!